Back from hiatus! In On My Wishlist I spotlight books that I'm really looking forward to. I know there's a meme Waiting on Wednesday and there even are others, but I'm going to rebel and do it how I want it (hehe). I'll feature the synopsis as posted on Goodreads and put a linkie to the Goodreads page of the book. 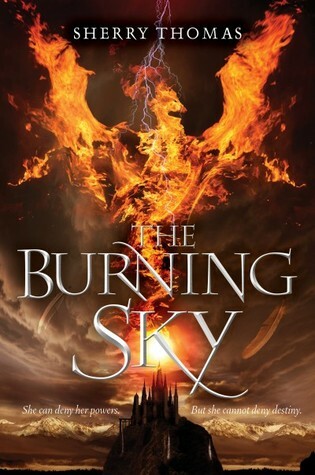 This week: The Burning Sky by Sherry Thomas. Confession: I first wanted to read this book because of the cover. I mean, look at it! I'd probably even buy it if the synopsis sounded awful. But it sounds awesome, and people have been raving about it, and now I'm just banging my head against the wall until my next paycheck comes in and I can finally buy it. Because I needs it. Badly.